Digital devices and challenging environments like cold air conditioning or dusty, dry air can cause discomfort and irritation. 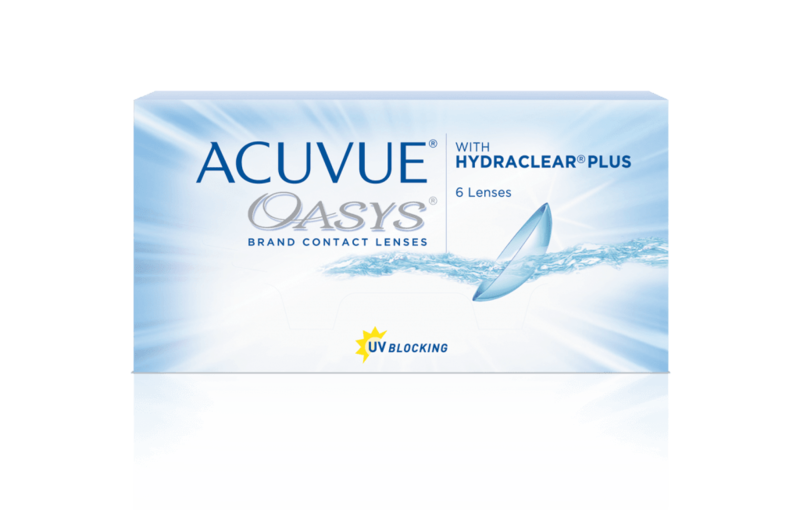 ACUVUE OASYS® Brand Contact Lenses with HYDRACLEAR® PLUS Technology are inspired by the way your tear film works. Available with correction for near and farsighted prescriptions. 2-Week contact lenses available 6, 12 or 24 lenses per box. 1 in 21 clinical studies posted on www.clinicaltrials.gov ** the ACUVUE® OASYS® Brand family of contact lenses has never been beaten on comfort. ** www.clinicaltrials.gov is a website maintained by the NIH. the 21 studies evaluated subjective comfort as a primary or secondary endpoint for AVUVUE® OASYS® Brand with HYDRACLEAR ® plus or ACUVUE OASYS 1-Day with Hydraluxe™ Technology. Review conducted as of November 20, 2017.